- Two inner open pockets. 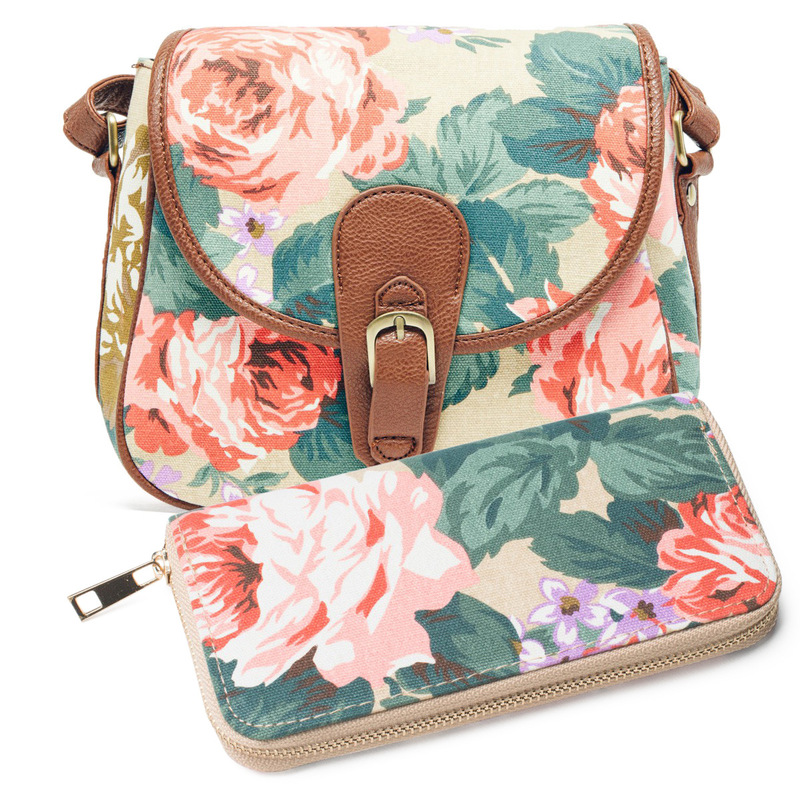 A small floral print canvas shoulder bag with large flap over clasp and fully adjustable strap complete with matching purse. A perfect spring/summer accessory for casual or smart wear.